This fashion month is almost over, but before we review the best styles in terms of bags at Paris Fashion Week, you can wear jeans and a white T-shirt but if you bring an It Bag, you can show off like a Fashion Editor or a street style blogger. 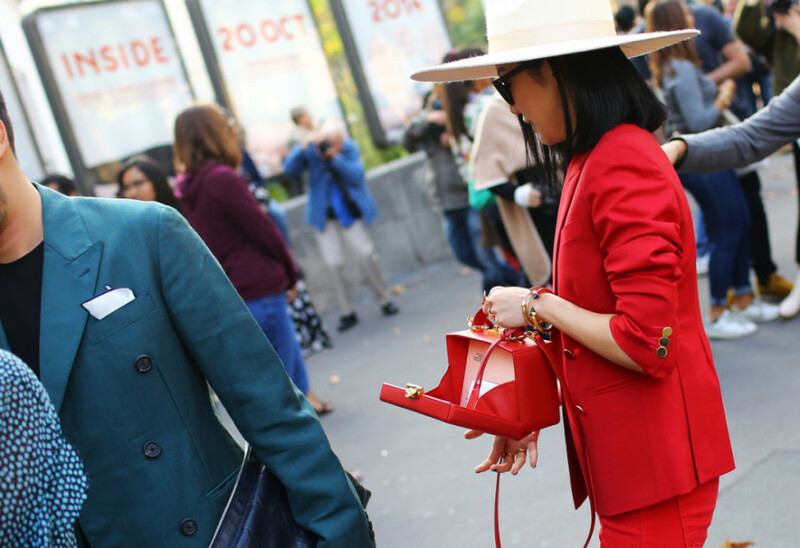 the red bag is so cool~ love it! A lot of great bags on here! I don't even know which one I would choose! Are you going get one? Hi! I really love those clutches from Kenzo! Awesome post. By the way, I feature your blog in my new post. Please check it out!